Our attention was proudly drawn to one of our alumni this month due to a prestigious honor. 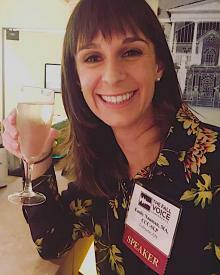 We are extremely proud to congratulate Dr. Jamie Bogle, recipient of the 2018 American Academy of Audiology (AAA), Outstanding Early Career Audiologist Award. Jamie will receive her award at the AAA Annual Conference, held from April 18-21 in Nashville, TN. With this award, AAA acknowledges Jamie’s strong commitment to the profession, her patients, and scholarly activities in her career. 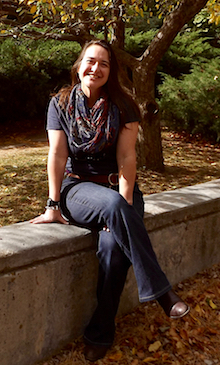 After leaving Colorado, Jamie became a research fellow at Gallaudet University and held a post-doctoral position at Mayo Clinic Jacksonville in the area of vestibular research. She currently works at the Mayo Clinic in Scottsdale, Arizona. where she has provides patient care, student mentoring, and has developed the Mayo Clinic Sport Neurology and Concussion Program. It provides baseline concussion measurements and post-concussion testing in a team approach with neurology and neuropsychology. 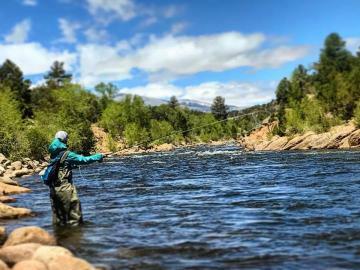 Our fellow alumna Jamie not only holds academic ranks at Mayo Clinic but also at three other universities (University of Colorado at Boulder, Salus University, and Gallaudet University). She lectures on vestibular sciences, diagnostics, and treatment and has presented at numerous conferences and seminars including at the American Academy of Audiology, American Speech-Language-Hearing Association, and the American Balance Society. She has presented internationally in Russia, Canada, and France.She is a reviewer for fifteen journals and was awarded the Journal of the American Academy of Audiology Editors Award in 2015 for outstanding contributions to peer review. Dr. Bogle herself has eleven peer-reviewed articles with the majority on vestibular evoked myogenic potentials (VEMP) and concussion. She is a co-author on the book chapter, “High frequency gain dependent word recognition” in the Adult Audiology Casebook published by Thieme. Finally, she has contributed to the filing of five patents and ten invention disclosures. When she is not busy with scholarly activities, she is also volunteering in professional organizations. She has been an active volunteer for several committees at the Academy including the Publications Committee, Political Action Committee, chair of the Quality Measures sub-committee, and most recently Public Relations and Outreach Committees. She has also been an active member and is currently serving on the board of the American Balance Society. Browse through Jamie's photos below, a wonderful reflection of that balance. Annette Mazevski (Sam’s baby), myself, Samantha Kleindienst, Chris Zalewski"
Allison Cunningham Smith, Melissa Garafalo Culmer, Becky Nelson Awad, myself"
"What else should you do with a used poster? Sumit Dhar, Niall Klyn, Samantha Kleindienst, myself, Don Nielsen"
"My better half- my pup Shena!" to Congres IFOS and take along my other better half, Joshua Wyler"
"Research is fun? We had the privilege to work on a study evaluating motion sickness. 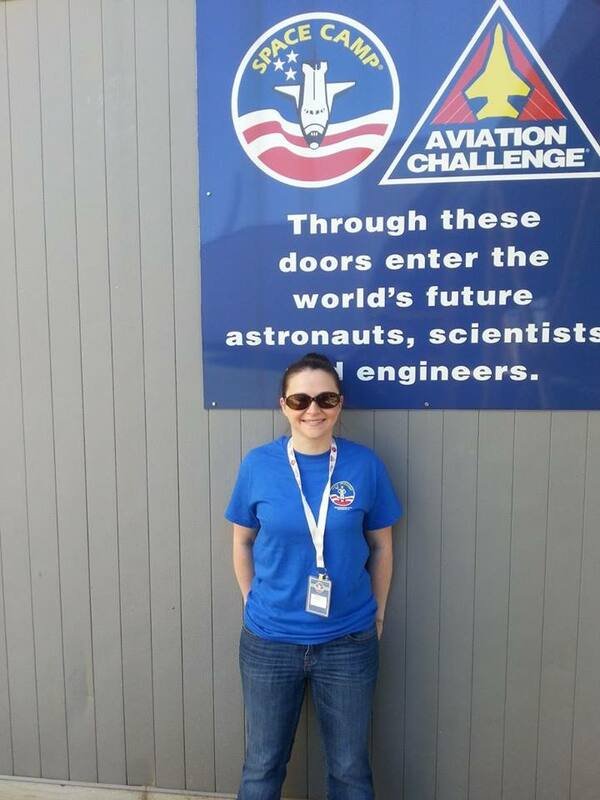 We learned a lot about car maintenance... Gary Pradhan, Sarah Coppinger, myself"
Adults can go to Space Camp too! The centrifuge and multi-axis chair were amazing. I was provided with rigorous but relevant academic courses, projects, assessments and clinical experiences. One of the best and most challenging learning experiences for me was going through oral and written comprehensive exams. We were presented with 4 case studies, each containing a past history and diagnostic scores from various assessments. In our exams, we were to determine a diagnosis based on the provided scores and develop an evidence based treatment plan. We picked one case study to write about and then orally defend to a panel of 4 professors, but we also had to know about the other 3 other case studies as our panel could ask any question they liked about diagnosis and treatment plan for them. While this process was intense, it truly reflected knowledge and skills an SLP needs in every day situations. We must gather information about a patient's background and past medical history, we must select the appropriate assessments to gain the right information needed to make an accurate diagnosis. We must then interpret the scores of the assessment and develop an evidence based treatment plan. No matter what setting an SLP works in, these are the foundational elements to every day patient care. As an undergrad, I completed the Speech-Language Pathology Assistant SLPA internship program. This program is what made me decide to pursue my Master's Degree in speech language pathology. While I had learned foundational knowledge needed to understand speech and language disorders in the classroom, it was during my SLPA internship that I saw my learning come alive. I experienced first-hand how a SLP could so tangibly help people of all ages in the basic right of communication. 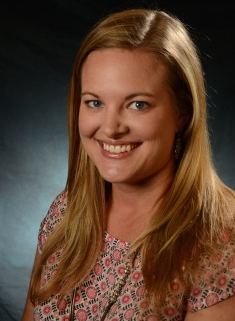 Emily is currently a speech language pathologist at National Jewish Health (NJH) in Rehabilitation Services. As a member of a team at NJH, one area I'm truly passionate about is researching and creating innovative assessment and treatment for Exercise Induced Laryngeal Obstruction (EILO), also known as exercise induced Paradoxical Vocal Fold Motion (PVFM). For those who may not be familiar, EILO is s a common condition characterized by the throat paradoxically closing during exercise. EILO can dramatically increase breathing difficulty and diminish athletic performance. I have the opportunity to work alongside amazing SLPs (many whom are CU graduates) and doctors at National Jewish Health in Denver, CO. Working together, we are researching this disease and developing more effective diagnostics and novel treatment techniques to treat this disease. 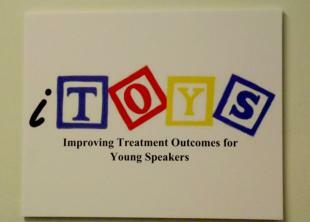 It is so exciting to be a part of groundbreaking research and treatment in this area of speech pathology. Emily observes that EILO is not well understood. She and her team want to change that. What we are finding in our research at NJH is that many patients who have EILO do not get better with traditional treatment methods. 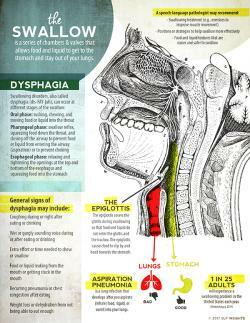 Traditional treatment methods can include pursed lip breathing techniques, vocal exercises and relaxation techniques, /s/, /f/ or /sh/ breathing, diaphragmatic breathing, etc. Many patients who trigger during high intensity exercise do not experience any benefit with these methods and therefore are prone to being left untreated. This not only leads patients to frustration over their untreated condition, but also clinicians. As SLPs, we want the best for our patients. We want our patients to get better, so the question we are attempting to answer is "What do you do when your patient isn't getting better?" Dr. Olin at NJH has developed a new breathing technique called The Olin EILOBI Breathing Technique. EILOBI stands for exercise-induced laryngeal obstruction biphasic inspiration. The EILOBI is a breathing technique patient's can use during high intensity exercise to prevent and/or manage EILO. In our research study, we had 64 subjects who failed conventional therapy. Most of these patients competed at the high school varsity level evaluated our techniques and teaching process. We found that about 80% of the subjects positively evaluated the teaching process and were able to use the techniques during their activity of choice, and about 2/3rds of the subjects perceived clinical effectiveness by using the technique. While this technique is innovative and appears to be a promising therapy approach, it is very complex to learn because the techniques are not intuitive or natural. Only by multiple sessions of intensive learning with providers can patients learn and breathe comfortably during high intensity exercise. Focused research and passion has led Emily to publish and present research articles with co-workers, some who are also CU graduates. This year I had the opportunity to co-author a research article with a few of my fabulous co-workers titled The Olin EILOBI Breathing Techniques: Description and Initial Case Series of Novel Respiratory Retraining Strategies for Athletes with Exercise-Induced Laryngeal Obstruction. Lead author Kristina Johnston, a fellow CU grad has been an incredible mentor for me throughout my clinical fellowship and career. 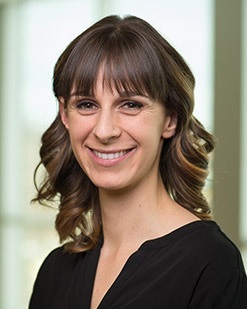 Kristina has been working closely with Dr. Tod Olin in this area alongside another co-author and CU grad, Heather Hodges. Our CU alumni are well represented at NJH and Emily is happy to continue relationships will fellow alumnae Kristina Johnston and Heather (Gustafson) Hodges (photo left: Kristina, Heather and Emily are pictured right and former NJ employees and CU graduates Julie Bergquist in the middle and Hillary Ligon (Lisi) on left. Emily tells us that she has many other CU friends who are in the schools and other hospitals in Denver, such as Craig Hospital. SLHS is well represented in our state! Much continued success in all of your pursuits, Emily! As we feature CU SLHS/CDSS graduates in our Inspiration Series, innovation and entrepreneurship truly stand out. Megan Berg ('15) is no exception. Megan spent 8 years as a polar science communicator before she walked into her first level SLHS class in 2012. When I entered SLHS on that hot August morning, I was motivated to find a career path that blended both science and humanity and gave my creativity a new place to grow. Little did I know that my grad school experience would be one of the most challenging and vulnerable experiences of my life. In the words of my favorite researcher, Brené Brown: ‘Courage starts with showing up and letting ourselves be seen". It took courage to show up each day and be seen. If I learned anything in grad school, it’s that the field of speech-language pathology is both an art and a science. When we treat communication, the brain, the swallow, we are really touching fundamental parts of what makes us all human- how we think, how we feel, how we connect, how we cultivate our souls. I often felt like a failure in grad school, trying to get the right answers, but feeling like the “right” answer was ever elusive; trying to find a footing in a foggy world of limited research and a thousand shades of grey, where maybe the “right” answer means letting someone choose to die of aspiration pneumonia, or programming “F*** off” on their communication device, or holding someone’s hand as they cry, or laugh, or just be quiet in a space where pain and loss is so palpable that words only serve to take away from their journey. After 3 years of being graded on every single thought, idea, solution, and interaction, I began my school internship on the Pine Ridge Indian Reservation with Sandy Frandsen as my mentor. 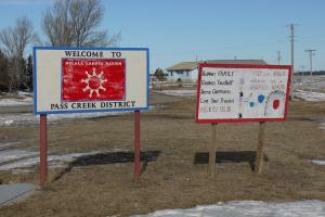 On Pine Ridge, 97% of the population falls below the poverty line with an unemployment rate of 85% to 95%. At least 60% of the homes are without water, electricity, adequate insulation, and sewage systems. Outside of the structured grad school environment, in this rural, wild, wind-swept, impoverished, almost forgotten world of unspeakable pain and beauty, I began to find my footing in a place of ambiguity and paradox rather than finding the “right” answer for my GPA. It is a world in which I am far more comfortable and one in which I wish our learning and teaching environments more fully embraced. I left the reservation on a warm spring day and headed to Lincoln, Nebraska, where I completed my hospital internship at Madonna Rehabilitation Hospital, which opened my eyes to how powerful a rehabilitation facility can be if given the freedom and ability to create and grow new ideas and new ways of doing things. Once you see this kind of energy, you can’t help but take it with you wherever you go. Megan recalled SLHS faculty who influenced her. "I remember Dr. Sadagopan for her immense knowledge of anatomy and physiology as well as her passion for research and teaching. My goal is to someday be able to name the structure and function of the muscles of the pharynx and larynx with her finesse. Scott Schwartz, for saying, 'You should be able to walk into a room with a pencil and do great therapy.' and Allison Stamm had immense knowledge of dysphagia along with her sense of humor with memorable lines like, 'If your swallow recommendation starts to sound like a Starbucks order, no one’s gonna follow it.' 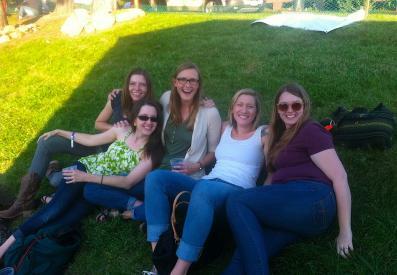 "
Many of our alumni maintain close relationships with fellow SLHS grads, Megan is one of them. 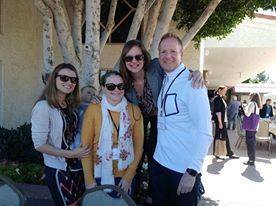 Photo left shows Megan with Molly Feider, Dana Van Oostenburg, Sarah Zebrowski, and Alice Ware. We always enjoy learning of these connections! Another of Megan’s professional pursuits employs her talents in graphic arts. As she began her SLP practice, Megan was inspired by a need to better understand neurophysiological structures and systems. “When I began my career, I found it difficult to find graphic therapy materials that were accurate and easy to understand, not full of cartoons. I started SLP Insights, a company that produces SLP graphics and therapy materials, particularly for SLPs who work with adults in rehabilitation settings (though many of the materials are appropriate for kids, too).” Among her projects you can see examples of her products on SLP Insights and at Megan Berg Designs. Megan doesn't stop there, entrepreneurship is a hallmark of her career. Megan's SLP Insights recently launched “Therapy Fix,” a monthly subscription service that delivers therapy materials for SLPs. " I was inspired by my Stitch Fix subscription. Clothes shopping isn’t my favorite thing and I am stoked to get clothes in the mail that don’t require shopping trip. Therapy Fix is a monthly delivery of therapy materials designed for SLPs who work in rehab settings. It features cognitive-linguistic, language, and dysphagia therapy tasks/interventions, handouts for patients and families, stickers, calendars for people with low vision and memory impairments, mindfulness exercises, and more. It’s $20 a month and people can cancel at any time." To put a head on it so to speak, outside of work Megan shared that she likes to brew beer. "I am currently attempting to understand how to hook up 3 kegs of home-brew to my new kegerator, which is a lot more difficult than it sounds, so if anyone has any advice, let me know." Cheers, Megan! Thank you for your story and inspiration. 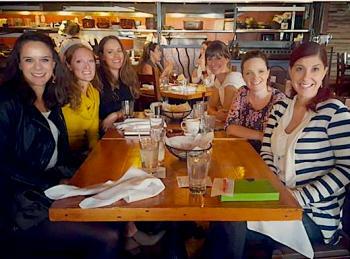 When I graduated in 2014, I was lucky enough to have a position with fellow alumna, Marla Moore, and her Denver-based early intervention practice, Talking Together, Inc. During my time at CU Boulder, I loved forming relationships and bonds with clients and their families, and knew early on that I wanted to work directly with families. As graduation approached, I knew that Early Intervention (EI) was where I would thrive and be happiest as a new SLP. As it turned out, I would soon have an even closer connection to EI than I ever imagined. My daughter, Nora, was born at 37 weeks in January of 2016, and appeared to be totally healthy and typical. Then, at 2 weeks old, during a 3 AM feeding, I noticed that she was breathing very fast. 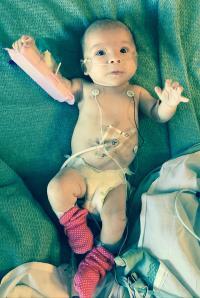 The next morning, Nora’s breathing rate hadn’t slowed, so we took her to Rocky Mountain Hospital for Children. It turned out that her oxygen levels were very low, and we were admitted to the pediatric floor. 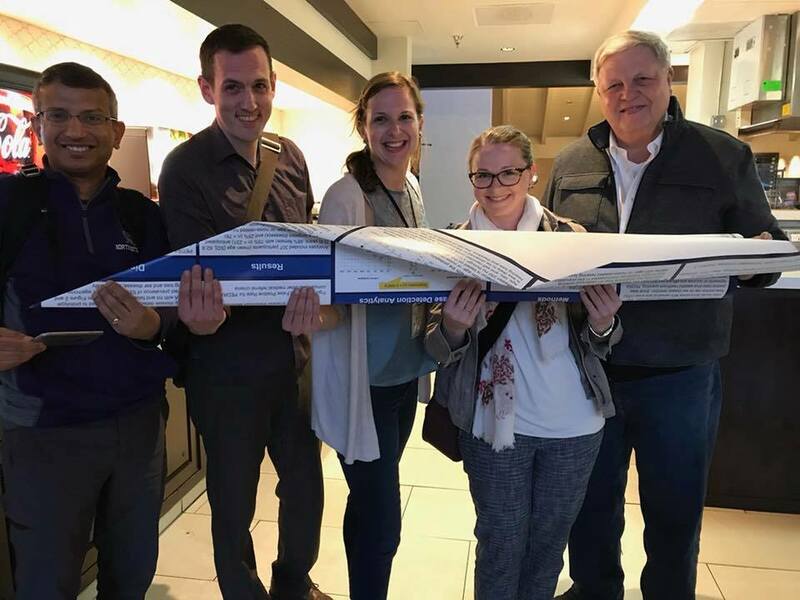 Eighteen days later, after countless tests and procedures, Nora left the hospital with a Nissen fundoplication due to severe GERD, a g-tube due to aspiration, and on full-time oxygen due to lung disease from aspiration and central/obstructive apnea. It was, needless to say, not expected, and a complete shock to our entire family. Thankfully, my amazing colleagues rallied around us, and we’ve had a truly wonderful experience as the recipients of EI services in our home. Our therapists (who include an outstanding occupational therapist, and an incredible infant mental health specialist), have not only provided concrete therapy strategies to help us meet our goals, but have also been pillars of support, kindness, and understanding for our family. As a result, Nora has healed, thrived, and continues to amaze us everyday. Additionally, my experience as a parent in EI has shifted how I conduct therapy in the home, and specifically how I support families. For one, I no longer tell parents, “That’s really common,” when they tell me a concern or worry that they have that is typical for that age or for a certain delay or diagnosis. I always said this as a way to alleviate and reassure them, and although I still think knowing that you’re not alone can be very helpful and comforting, I also now know how dismissive those words can come across. Whenever a doctor or nurse would tell me that one of Nora’s problems was “very common,” I felt like my worries and fears weren’t being validated. Now, when I’m working with families, and they share something that I see a lot of other children and families struggle with, I’ll say “That’s really common, but that doesn’t make it easy.” I’ve had parents look at me, nod, and say, “Right? I’m glad it’s not unusual, but it’s so hard!” I never want a family to feel like their feelings and worries aren’t valid or important, like I did. Also, I now try to acknowledge and be aware of how hard seemingly normal or everyday parenting activities and tasks can be for the families I work with. 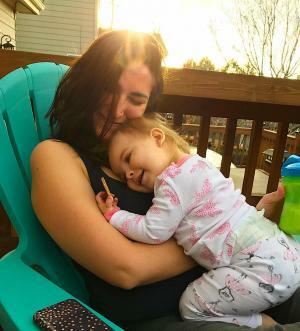 Whether it’s due to “only” an expressive language delay, or a more complex array of problems like Nora had, there is an intense and constant weight that comes with having a child with any kind of special need. Taking my baby anywhere required a very heavy backpack with oxygen, a backpack with a feeding pump, extra medical supplies, and everything else that a new mom carries around for a newborn! It was exhausting, and, when I did get the courage and energy to leave the house, I had more than one experience with strangers staring and/or saying hurtful things to us. A more recent task that reminded me how hard this still is: the simple act of filling out paperwork at Nora’s first dentist appointment. 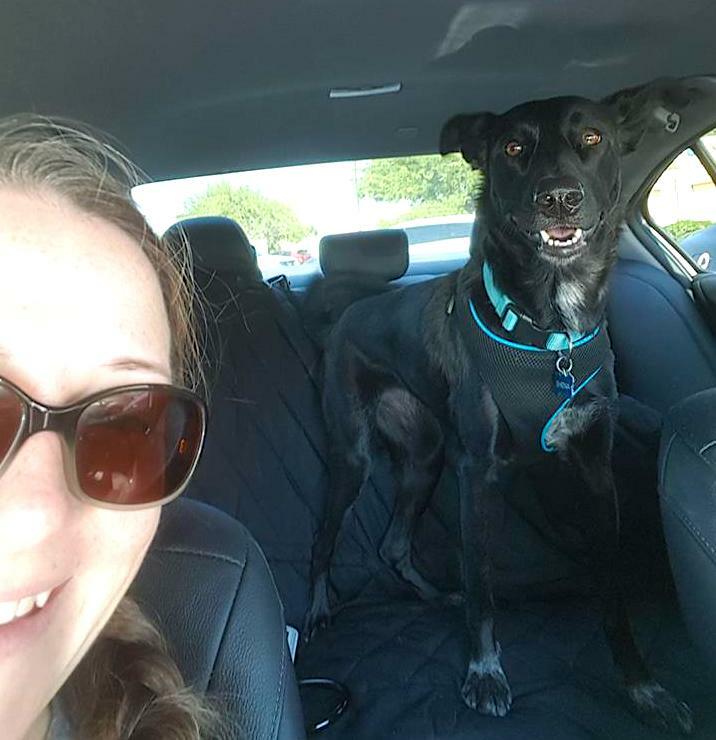 Having to list her medical history, and her delays, and not having enough room to fit it all in the provided space… it was mentally and emotionally draining. Even now, after Nora has made tremendous progress, and is off of her feeding tube (!! ), she still has delays in gross motor and speech. When we go out to the playground or library, I dread other caregivers asking me, “How old is your baby?” Oftentimes, Nora will be sitting quietly, or crawling around on hands and knees, while the other kids are running and labeling all that they see, and others will assume that my daughter is younger than their child. In actuality, she’s either the same age, or even a month (or several months) older. The awkward silence that so often follows this exchange, or the caregiver patting my shoulder and saying, “Well, all kids develop at their own pace,” can ruin a perfectly nice visit to the park.I never really considered these situations and interactions, or the emotional toll they can take on a parent, when I was an EI therapist before Nora, especially for my clients who were “just late talkers.” So I now make sure to check-in with caregivers more often about how they’re feeling, and how it is being a family in early intervention. I don’t assume that every caregiver feels the same weight as me, but I’m now more mindful about giving families a safe space to share any struggles or feelings they’re having, if they choose. 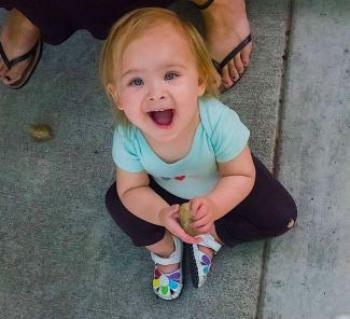 At 19 months old, Nora is now a happy, silly, and hilarious toddler. She’s a new, slightly unsteady walker, and she’s getting more and more confident each day. She’s using almost 70 signs, and is trying new words and sounds on a regular basis. She eats and drinks everything by mouth, and loves hemp milk (such a Colorado girl), grapes, watermelon, yogurt, peas, and crackers. Her best friend is her giraffe lovey, Norman, and she will have him give you high-fives if given the chance. Sleeping alone is NOT a current strength of hers, but all things considered, we’re ok accommodating that challenge right now. I hope to bring the same comfort, hope, and support to the families I work with that our own EI therapists have given to us. Although I never thought this would be my journey, it has taught, and continues to teach me, how to be the best SLP, and mama, I can be. Thank you for your outstanding inspiration, Ally and Nora! Here's a perfect Spring story for the second in our Alumni Inspiration Series. 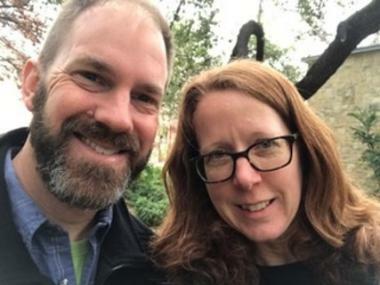 We're pleased to introduce two CDSS [SLHS] alumni who met and fell in love in our favorite building on our favorite hill overlooking our favorite campus. 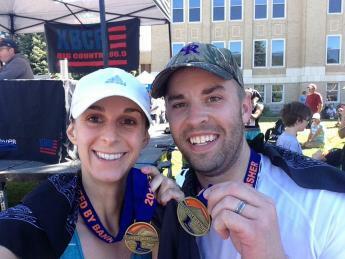 Meet Ben and Janet Gleason. 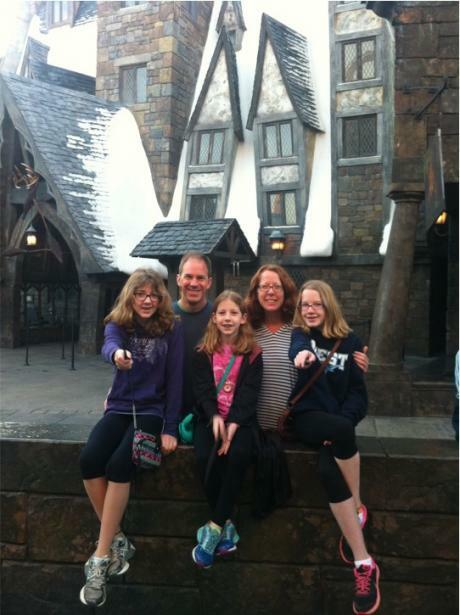 We have their story straight from one-half of the lucky union, fellow alum Janet (Blessinger) Gleason, '97. Janet: When I was in grad school, professors would post final grades using our social security numbers (“for confidentiality” ha!) on the CDSS [SLHS] building windows as you entered the side door. That way you could check your final grade even when the building was closed for break. I had come to the CDSS building to check on my final grades in May, and Ben was coming to check out the building because he would be entering the program in August. He was in the area looking for housing. He couldn’t get in the building because it was locked and I was standing right there so we started talking. He still laughs that I gave him my number in case he had any questions while he was visiting but immediately told him not to call me because my brother was coming into town so I would be too busy to talk to him. (This was before cell phones!) Later when we had the Back to School CDSS picnic, we remembered each other and again started talking. We bonded over our Midwestern upbringing and our vegetarianism. We both had previous degrees in psychology and had goals to do the three-year graduate program, so we connected over similar classes and interests. I remember we were both in Peter Ramig’s Stuttering class. One of the first assignments was to do pseudostuttering in public and write about reactions and feelings. A group of us went to Pearl Street together for the assignment. I also remember when I did the CLC practicum and was working with Sue McCord using the Storybook Journey. We were doing the Frog and Toad Button story, and Sue told me that she had seen a preschool teacher make a large version of the story with pictures on the front and the words on the back of large poster-sized pages. I wanted to surprise her, so I made one for our CLC group that week. Ben helped me color in the drawings and I still use the book we made today with my younger students. 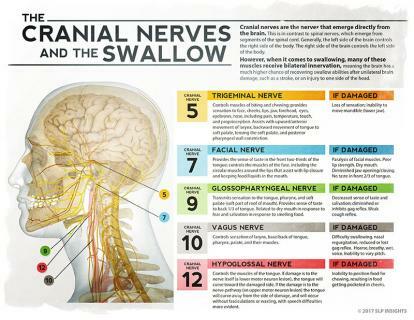 I also have memories of us studying cranial nerves while Ben and I sat by Boulder Creek. Another one of my favorite CDSS memories is working with my roommate Amy Thrasher on an articulation video we made for Betty Jancoseck’s articulation class. We went around making other grad students do the “cha cha” for the CH sound for one part of the video. We thought it was hilarious, but I don’t think the other students did. There you have it and from those beginnings Ben and Janet acted on their plans for successful careers and a family. 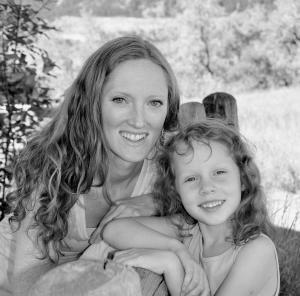 Janet graduated from CU in 1997 and worked in pediatric rehab at The Children’s Hospital in Denver and Boulder Community Hospital. They moved to St. Louis in 2000 to be closer to family, and Janet started working for Special School District of St. Louis. She has been working at the same elementary school in suburban St. Louis ever since. Janet: My school has a program for medically fragile students with intensive communication needs, which I have loved working with and developing over the years. Augmentative communication has been one of my passions since graduate school at CU. I love working with an augmentative communication caseload along with an ever-changing group of students with a variety of needs. Every year I get to learn new things and grow. I have also been passionate about supervising graduate students. I love giving them real-life school SLP experiences and I feel like it challenges me to explain why I do what I do. Their questions make me a better therapist. Ben graduated from CU in 1998 and worked in schools for Adams 14 School District for a couple of years before moving to St. Louis in 2000. He started working for Special School District of St. Louis County as a speech-language pathologist. 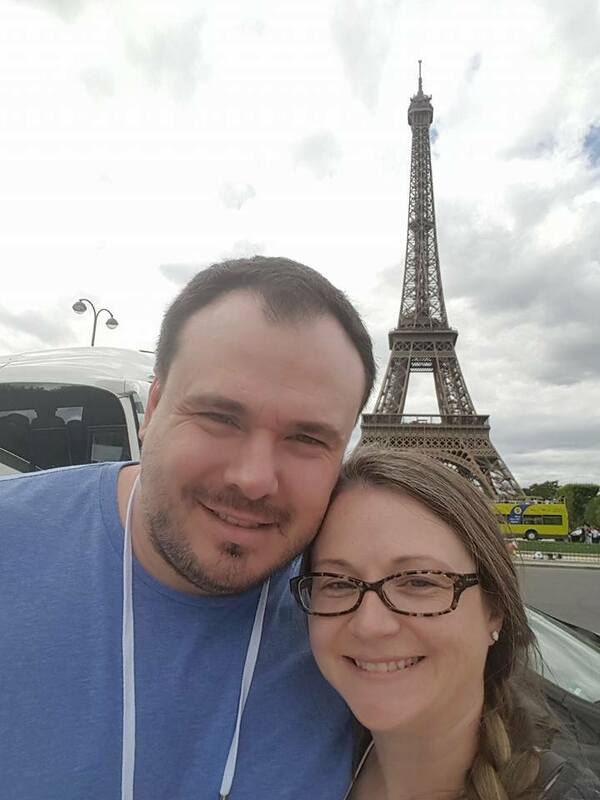 Eventually he became an effective practice specialist in speech-language pathology for the district, providing support for the hundreds of SLPs that work for Special School District and worked on making connections with the large Bosnian community in the St. Louis area. 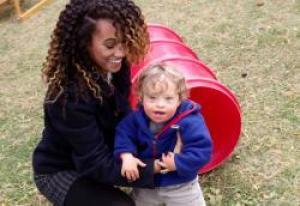 He has been working as a special education coordinator for the past nine years. 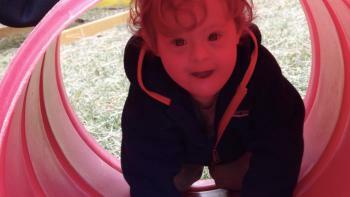 His latest passions are self-determination, student-led IEPs, and the inclusion of students with special needs in green education. 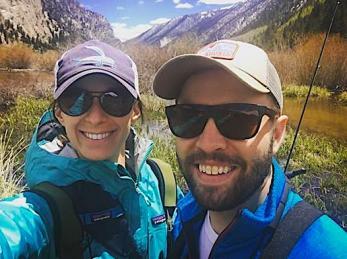 We both loved hiking, camping, and snowshoeing in Colorado and try to get back to Colorado as often as we can with our children. We have three daughters, ages 10, 12, and 14. One of our daughters is on the autism spectrum, and being on the other side of the diagnostic and IEP process was eye opening for us. We have enjoyed sharing our love of the outdoors with our girls through camping, hiking, gardening, and road trips to national parks. Best wishes to Janet, Ben, and family! Thank you for sharing this lovely story. "I have found my calling." This is how Julie Bergquist feels about her current service to families as a dedicated SLP and DONA International (Doula Organization of North America) Certified postpartum doula. Julie graduated in 2006 from SLHS with an MA. In her previous work, she primarily served voice and swallowing patients for 8 years at National Jewish Health. Prior to that, she worked in the public schools for 3 years. After experiencing a wide age-range, her passion for newborns and families emerged. 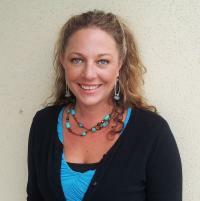 Julie currently provides restorative postpartum care, education, referrals and support to families of newborns. 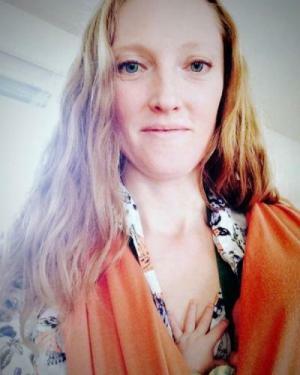 She related to us that she is "...currently going into the home setting, working with families during the postpartum period, supporting infant feeding, both in lactation and alternate feeding methods including syringe, cup, and bottle feeding." Julie explained what truly inspires her work: "I support mamas who are struggling to feed multiples using both breast and/or bottle, mamas who are having breast health issues and/or supply issues, guide families through their babies' tethered oral tissue challenges, teach paced bottle feeding, connect these families to other local professionals including IBCLCs (International Board Certified Lactation Consultants), mental health providers, pediatric dentists, feeding therapists, etc. to support their feeding challenges that go beyond my expertise, and the list goes on. Julie's passion in her work is evident, "I am moved beyond words at the vulnerability of these families, and specifically with the mamas I work with. I have the honor of serving them during a very raw, and sacred time in their lives, often beginning the day after birth. It is such a joy to be a guide along the feeding journey, beginning at such a tender time. My greatest joy is seeing these mamas grow in their confidence and be empowered along the way." The black and white photo on the right is Julie with Dr. Jack Newman, MD of the Newman Breastfeeding Clinic in Ontario, Canada. Below, Julie is seen with her daughter Avery, "The girl who made me a mother…what a journey we have been on together! And I would do it all over again in a heartbeat." Thank you for the first in our INSPIRATION SERIES, Julie. We are proud to claim you as one of our alumni. WHAT'S NEW AT CU? SLHS DEPARTMENT UPDATE! It was time for another visit to SLHS on behalf of fellow alumni for an annual update. Rest assured, fellow alumni, that the Department continues to make us proud! 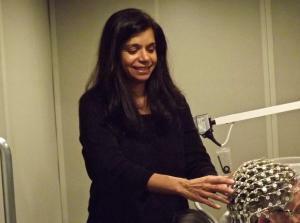 Currently, Professor Anu Sharma, PhD in Audiology, is serving as Interim Department Chair. She follows Dr. Gail Ramsberger as chair. Gail continues her work in adult neurogenic disorders of communication in addition to her teaching positions. Both professors have held watch over exciting developments in the Department during their time as Chair. Last year, interior upgrades were done to the clinic entrance and the clinic is very welcoming upon arrival. 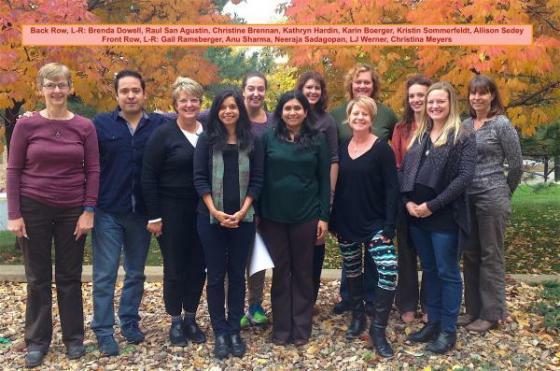 You can see a portion of the Departments faculty and staff on our lovely campus trees in autumn. After checking in and greeting one of my favorite familiar faces, Brenda Dowell, Assistant to the SLHS Chair, I headed downstairs to a favorite place, the Child Learning Center. Affectionately known as the CLC, the Center has been a resource for our community for over forty years, providing intervention services for children with needs along with their typical peers in a play-based educational setting. 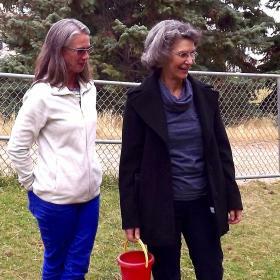 Before joining the staff and kids outside, I went back upstairs and managed to catch Amy Thrasher (left) in her office. Currently on break, Amy serves as clinical faculty in the Toddler Group and Preschool programs of the Child Learning Center. She developed a program for young children with autism focusing on joint attention and peer interaction through the use of storybook reading and video modeling, Story of Friendship. In collaboration with the Temple Grandin School, Amy also developed a social communication intervention program for adolescents with autism and similar learning profiles using coaching and video self-review, Perspectives. Amy also leads a family education and support group during the summers for families of young children with Down syndrome, Early Circles as part of CLC services. Amy encouraged me to meet new CLC staff including Early Childhood Specialist and current CLC Director, LJ Werner, along with another familiar face from INREAL days …Janine Randol, Clinical Faculty who skillfully manages the Toddler group. Jenny Koslowski is another able member of the CLC staff. Also present was OT, Kathy Keith who regularly consults with the SLPs. It was a treat to join the children and teachers in the back yard and as you can see by the photos below, the CLC was in full action mode. CLC Child having fun in a tunnel, Grad Student Nina De La Rossa, Class of '17 w/child, Erin Leary, '17 (R) w/Janinie & CLC children, Janine w/ OT Kathy Keith. I was captivated by Dr. Anu Sharma's research and witnessed the action first-hand in her state-of-the-art clinical lab where she examines brain changes and neuroplasticity in hearing loss. 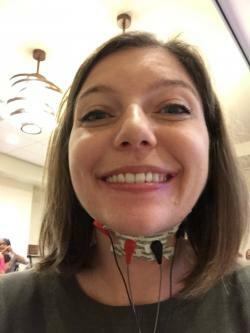 Her research is funded by the National Institutes of Health (NIH) and utilizes assessment of cortical auditory evoked potentials, high-density EEG, and other brain imaging techniques in conjunction with behavioral experiments to determine changes in the brain, specifically the impact of hearing loss on the brain. Current results show that even mild hearing loss can result in significant change. See Dr. Sharma's article on Compensatory Changes in Cortical Resource Allocation in Adults with Hearing Loss and a second on Cross-Modal Re-Organization in Adults with Early Stage Hearing Loss. Dr. Sharma's research team includes SLHS Audiology students who perform electrophysiology testing (using auditory, visual and somatosensory stimulation) source localization and EEG brain dynamics as well as speech perception and cognitive behavioral experiments. She is tracking the effects of intervention with hearing aids and cochlear implants on cortical plasticity and behavioral outcomes. 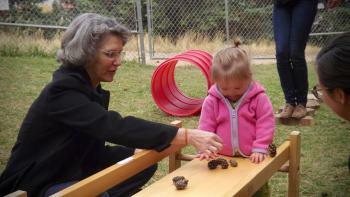 She is interested in neuroplasticity at both ends of the age spectrum, infants and young children, as well as age-related hearing loss in older adults. She is seen here with student Emily Deeves (left) with their patient (right) who is undergoing an EEG. Detailed information about Dr. Sharma's research can be found at EEG LAB and on the Brain and Behavior Laboratory website. I met some of the new SLHS faculty members who are engaged in exciting projects. The first new faculty I met was Dr. Christine Brennan (left) who is a developmental cognitive neuroscientist and speech-language pathologist interested in investigating the brain systems supporting language development and speech processing. 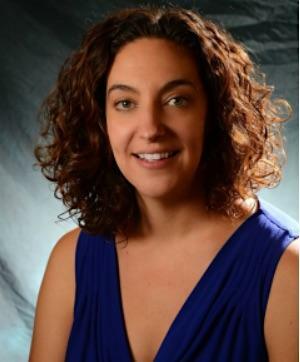 She comes from the Neuroscience Lab at Northwestern University and is now the Director of the ANCAR Lab (Applied Neuroscience for Communication and Reading) at the University of Colorado Boulder. Dr. Brennan’s current research extends from her previous phonological work conducted in the Developmental Cognitive Neuroscience Lab at Northwestern University that focused on how the auditory cortex encodes phonemes, how it synthesizes phonemes into words, and how these processes are affected by experience. 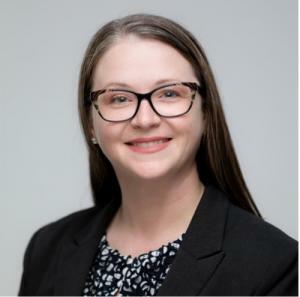 Dr. Brennan’s current research aims to improve our understanding of how the organization of the auditory cortex for phonological information may differ in children with and without language-based learning disabilities in which phonological skill is implicated, including dyslexia. 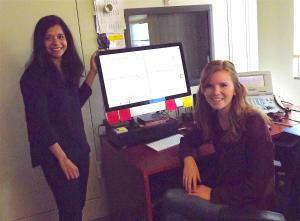 Her research projects utilize standardized behavioral measures, experimental tasks, and functional neuroimaging (fMRI). She is a member of the Institute of Cognitive Science at the University of Colorado Boulder, as well as a member of the Intermountain Neuroimaging Consortium (INC). Professor Brennan currently teaches undergraduate and graduate courses in speech and hearing sciences. She earned her PhD and MA from Northwestern University. I appreciated her willingness to meet impromptu as she was soon to teach one of her courses: 5576 SLHS Neuroanatomy and Neurophysiology. Next door to Christine Brennan I found Assistant Professor, Dr. Christina Meyers-Denman (right) who comes to SLHS from the University of Arizona in Tucson where she received her Ph.D. in Speech, Language, and Hearing Science with a Cognitive Science Minor and specializations in Child Language Disorders, Language Learning, Intervention, and Early Bilingualism. 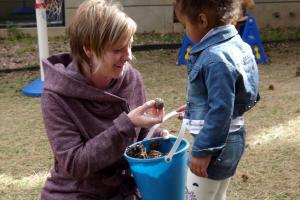 Christina’s areas of expertise includes applied research in early childhood. She heads up the brand new Improving Treatment Outcomes for Young Speakers Lab (iToys) where she and students work with children who experience late vocabulary development. 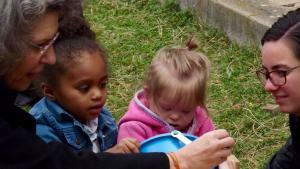 The Lab’s learning sessions pair normal children with those needing clinical intervention. Clinicians incorporate child-centered intervention, focused observation, parent involvement and gestural support bridges. Dr. Meyers-Denman's research will weigh the benefits of the approach with particular attention to the use of gestural support in advancing children's vocabulary development. Dr. Brenda Schick's contributions to the field of Deaf and Hard of Hearing in research, curriulum development, and evaluation is exceptional. She is currently on Sabbatical and in the thick of an exciting new grant funded by IES. 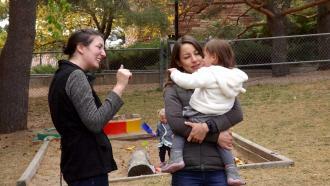 With the help of graduate students, she is studying the role of fingerspelling in literacy development in young deaf and hard-of-hearing children. Her past work, funded by NIH, focused on the development of a Theory of Mind in deaf children and how it relates to their language skills. Her work shows that complex language skills are essential for the development of skills in social cognition. With colleagues from the University of Washington, she also developed a tool to assess Quality of Life in students with a hearing loss. Some of Dr. Schick's other projects include the Educational Interpreter Performance Assessment (EIPA), a tool she co-developed which evaluates the skills of K-12 interpreters. With colleagues, she published data on the performance skills of interpreters who work in the K-12 setting. 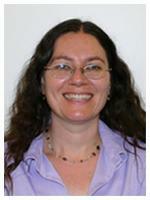 Her work on the EIPA has been incorporated into a Classroom Interpreting website dedicated to K-12 interpreting. Brenda co-developed a sign language curriculum (video and books) designed for parents titled Sign With Me, as well as a series of children's books that have been translated into ASL by deaf adults and children, titled Read With Me. She has served as the school board president for Rocky Mountain Deaf School, a bilingual charter school for deaf children in metro Denver. She was also a classroom teacher for deaf children. In addition, she is a CODA, having grown up in a deaf family. What would the SLHS department do without grad students? Raul San Agustin, Graduate Assistant (left) is the one who has been supplying me with new SLHS alumni lists each spring. He provides office support for the department by assisting with the application process; communicating and interpreting departmental and campus graduate regulations to current graduate students, staff, and faculty; describing the graduate program to prospective students; creating spreadsheets and other data sheets to assist the graduate committees in the selection and recruitment of graduate students; and maintaining documentation files as requested by state and federal agencies. He comes well prepared for these tasks with a background in marketing/consumer products industry. He has a Bachelor’s Degree in Business Administration and is currently studying a Master’s Degree in Marketing (MS in Marketing) at CU Denver. 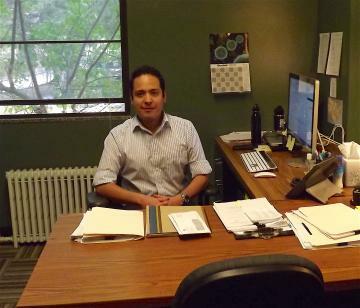 Raul says he has "found that working in higher education at the SLHS Department has been amazing. As a current graduate student, I can empathize with fellow students and am happy to support their journeys. 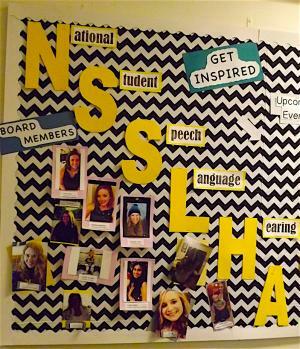 The Department's student organization NSSLA is alive and well, I always seek out their bulletin board (right) to prove it! Raul and the entire staff and faculty are welcoming faces who would entertain your visit anytime if you'd like to see what's happening at your Alma Mater. Just contact the Department to schedule a visit! See other SLHS faculty and staff bios online. Many thanks to Anu Sharma and all of the faculty students and staff who took time to spend time with me on this visit. Congratulations to SLHS Faculty, Anne Whitney! We like to celebrate SLHS faculty as well as alumni by occasionally putting their work and goals in the spotlight. 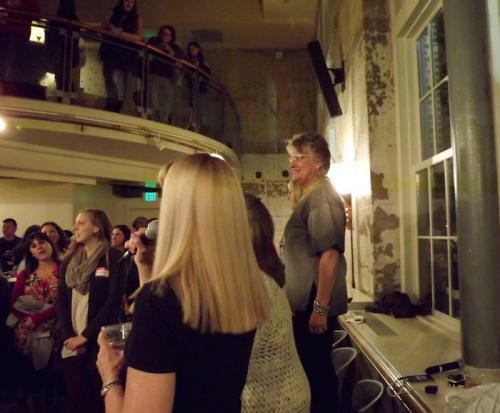 Anne Whitney took time from a busy transition to tell us about her current journey. Ask Anne about her retirement and you’ll find a renaissance in the making, a combination of professional and personal goals that relate to her passions. Anne was at CU from 1992 on. She first came as a summer replacement supervisor and at the end of summer, Susan Moore asked her to stay on. 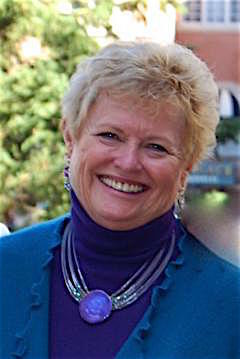 Anne took a year’s leave of absence from Thompson R2-J School District and commuted from Ft. Collins for that year. She then stayed on the following summer and beyond. Anne tells us that she took a 2-year departure to work in the publishing world, but when that was over, Susan hired me back and I even had the same office and phone number. Anne made many valuable connections with community agencies in the area. Fortunately, some will continue. She gave us some background. 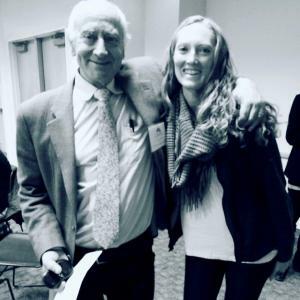 "While at CU, I developed a relationship with the Odyssey School at Centennial Peaks Psychiatric Hospital and we did all their academic and language evaluations for them for 7 years. We realized that 64% of the students (ages 8-16) had a never previously diagnosed language disorder and of that cohort, 81% had poor phonemic awareness and reading difficulties. So, I began looking for a curriculum that could help them. I attended a Reading in the Rockies conference in Vail around 1995 where Jane Fell Greene spoke of her new curriculum called LANGUAGE ! that was for 4th-12th grade students with language and literacy issues. That started my passion for scientifically based reading interventions that continues to this day. My stint in publishing was actually co-writing the 2nd edition of the LANGUAGE ! Curriculum. I was fortunate to meet some of the best movers and shakers in the world of dyslexia at that time and that launched me into working with Dr. Louisa Moats and becoming one of her national trainers for Language Essentials for Teachers of Reading and Spelling (LETRS). This is a professional development series of courses that I’ve trained in several states to both general education teachers and special education teachers. I’ve worked with Dr. Moats in writing LANGUAGE ! Live, the newest version of Jane Fell Greene’s original curriculum. Currently, I’m working with Dr. Moats in writing the 3rd Edition of LETRS. I’ll continue with LETRS trainings during my retirement." 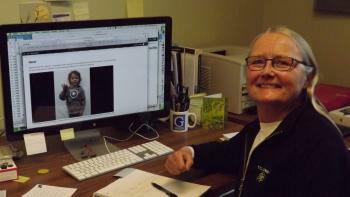 Looking back at her experience in the SLHS Department, Anne has some encouraging views. Over the years of working in SLHS, I’ve seen the dichotomy between the academic faculty and the clinical faculty narrow. I believe that Dr. Ramsberger’s work to achieve recognition of clinical faculty with a career ladder of assistant, associate, and full professor certainly did a lot to help narrow the gap. I also appreciate the new young faculty members who have joined the department and their acceptance of clinical faculty as parallel peers. 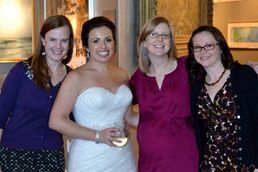 Among the clinical faculty, I’ve appreciated the friendships and the caring we have for each other. This is a group who always has each other’s backs. Overall, the department has continued to develop a solid footing in the College of Arts & Sciences and the work of our researchers and clinic has been recognized internationally, nationally, and locally. When asked about specific memories or stories, Anne tells us that, for her, they come down to her students and the enrichment they brought to her life. 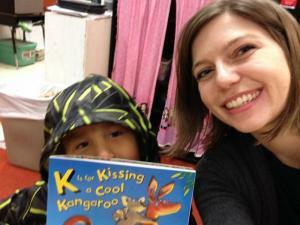 Anne’s creativity and connection with students is well known. I’m proud of our students and happy to maintain lifelong relationships with many of them. One memory I have is of the fall semester several years ago when the second year students were scrambling to turn in their Passion Papers, then the major part of the comprehensive examination. They had clinic, classes with midterms, and this paper all due around the same time in mid-October. Stress levels were high. So, to break the stress, I arranged to take all the 2nd year students to a Corn Maze and then out to dinner. 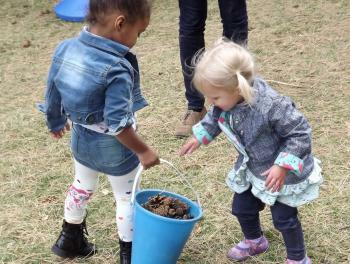 Letting loose in the cornfield was just what the students needed. I think there were a few that had trouble finding their way out again, but when it came time to head for dinner, they managed to appear. After a delicious Mexican food dinner and the appropriate beverages to go with Mexican food, the stress levels were reduced dramatically. That was a super fun time. A more recent memory was my last Salad Bar. At the end of each semester, on the last day of clinic, tradition dictates that we have a salad bar lunch together to celebrate the survival of the semester. So, unbeknownst to me, at my last Salad Bar lunch this past spring, the students put on a fashion show for me. You see, everyone else has CCCs that represent the Certificate of Clinical Competence. Mine, however, is for Color Coordinated Codependent. So my fashion show consisted of an array of students, both male and female, dressed from head to toe in each of the colors of the rainbow. They even carried matching purses or books that were in the same color family. How great was that? In terms of inspiration, I’d have to say the many children and adults who have come back to tell our students and me how the work we did on reading changed their lives. One young man with dyslexia ended up going into the seminary, a field he wouldn’t have chosen were it not for his improved reading skills. Another young man started at SLHC when he was 14, had been homeschooled but was unable to read “cat, fat, sat.” He worked diligently with our students and was able to finally re-enter public school, was admitted to a vocational school, and finally started junior college. There are many, many more stories to tell, but I’d be remiss if I didn’t tell the best story of all, the story of Ian Weber (name used with permission). Many who read this will remember Ian from his early days in CLC all the way to his current lessons at SLHC on reading. Ian is an inspiration not only to me but also to every student who has worked with him. His constant cheerful mood, ‘can do’ attitude, ‘never give up’ spirit are qualities that inspire each student who has worked with him over the years. He makes slow but steady progress and is able to read at a low 2nd grade level now, a skill he’s proud of and proclaims, “That’s easy.” after mastering! Ian gives back more than he knows and each year, when students write their Essential Learning Experiences for their portfolios, I look forward to reading how Ian has touched the lives of our students - because each year, his clinician chooses Ian to write about. We wanted to know about Anne’s plans for the future. Here’s where we see that retirement equates with new exploration and opportunities. Probably the thing I’m most excited about in relation to literacy and dyslexia is the calming of the Reading Wars and more acceptance of code-based reading instruction as a necessary approach to reading for all students but especially for students with language learning disabilities and dyslexia. There’s more work to be done, but many states are now adopting dyslexia laws and have approved lists of curricula from which districts may choose. The professional development is improving as well. The focus on morphology that is the newest swing of the pendulum is very exciting and one I’ve been waiting for since the late 90s. Many alumni know Anne in some capacity from her past 24 years at SLHS. 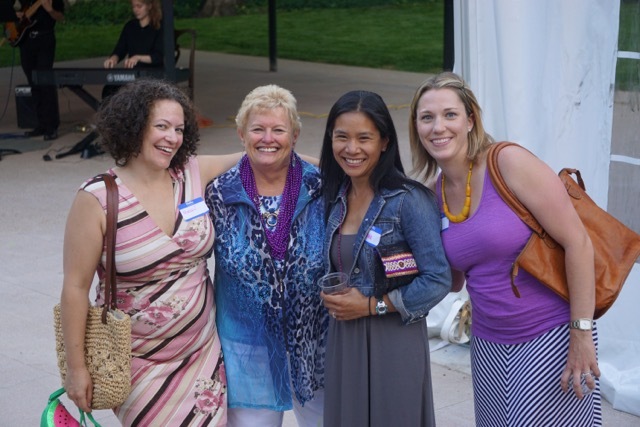 She was recently honored by the department in a celebration at the CU Koenig Alumni Center. 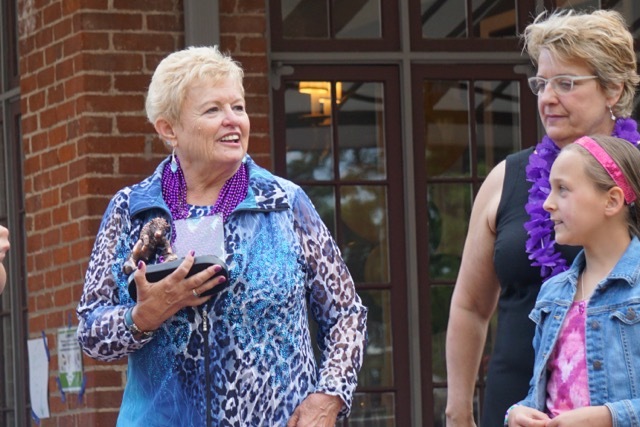 Join us in congratulating Anne as she “retires” while continuing to be a vital part of our field as author, curriculum developer, practitioner, and respected colleague. 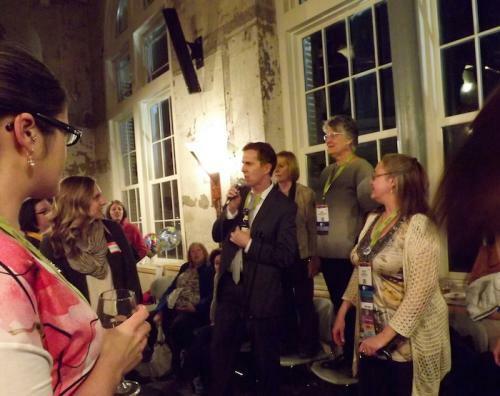 CO/WYO Reception at ASHA 2015 a Success! 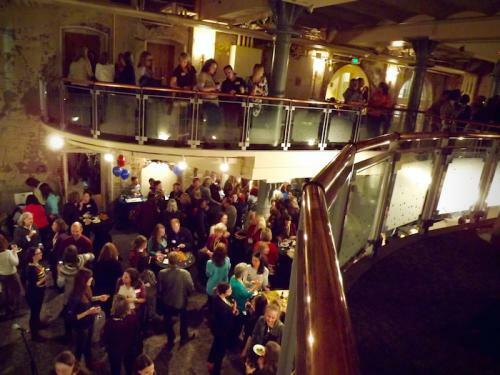 There was standing room only at the ASHA 2015 CO/WYO reception, held at the Tivoli Student Center on the Auraria Campus. The event was planned and sponsored by our very own SLHS, along with Metropolitan State University of Denver SLHS, Audiology and Speech Sciences at the University of Northern Colorado, Division of Communication Disorders at the University of Wyoming, the Colorado Speech Language Association, and the Wyoming Speech Language Association. 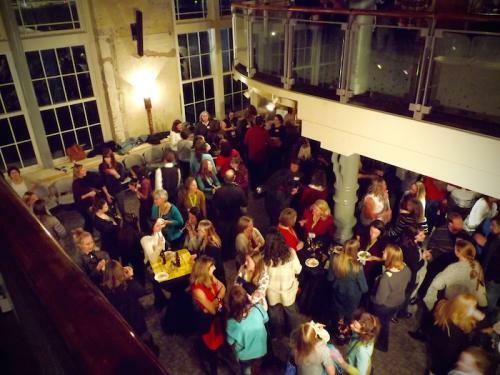 Lively conversation among faculty, students, and alumni was the order of the evening. Dr. Gail Ramsburger and other sponsoring administrators, including CU Alumni Mark Guilberson, now Director and Associate Professor of Early Childhood Language at the U. of Wyoming. SLHS Chair, Gail Ramsberger, who coordinated planning for the event and looks forward to more collaboration, said, It was great to see so many colleagues from Colorado and Wyoming and wonderful to hear how life has developed for our alums since leaving CU. Denver seemed to be an outstanding venue for ASHA and I hope they bring it back so we can have a repeat of the Open House event in the not so distant future. WE AGREE....MANY THANKS TO ALL COLLABORATORS! 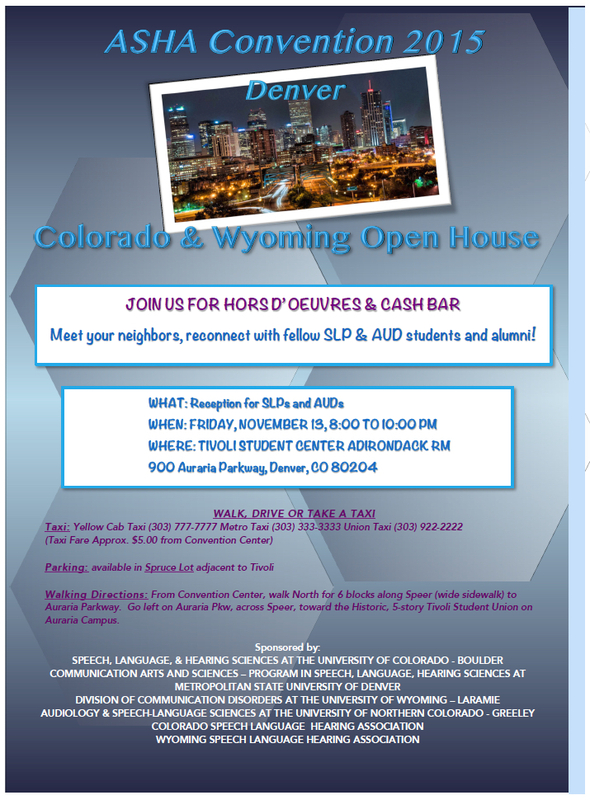 You are invited to an open house during ASHA. Join us!